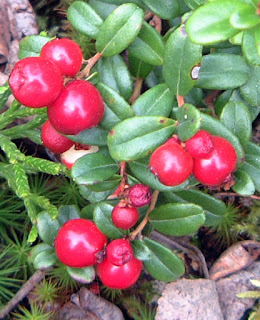 Lingonberries are a good source of antioxidants. Retired horticulturist Pat Holloway will teach a six-week online class this fall, Wild and Cultivated Berries of Alaska. The one-credit class, NRM 154, starts Sept. 14, and there are no prerequisites. The class will cover how to improve wild berry yields, hardy berries for farm and garden, commercial production, diseases, insects, and traditional and modern uses of berries. Holloway says she will cover as many berries as she can fit into the six-week class, with an emphasis on the “biggies,” including currants, gooseberries, blueberries, lingonberries, strawberries, honeyberries/haskaps, and raspberries and their relatives. There are also several lesser-known berries she will cover, but no tree fruits. For more information, contact Pat Holloway at psholloway@alaska.edu.